Web shortwave receiver zone pop - This is a web receiver link page with web receiver informations. Transmitters 'R' Us - We are manufacturers and re-sellers of a wide range of AM, FM and Shortwave broadcast transmitters, kits and related products. On-Line HF Propagation Prediction - *One single page* gives you an immediate overview of current shortwave propagation conditions at your location. Lee Electronics - Offers Scanners, Shortwave, Wide-Band receivers, accessories from Icom, AOR, Sangean and Grundig. RTSH - Online - Radio Tirana and Albanian Television (RTSH) broadcasts local news, music, and entertainment programs via FM, TV and mediumwave and international programs in 7 languages by shortwave radio. Radio Veritas Asia - The Missionary of Asia - A Catholic shortwave broadcaster in Quezon City, Philippines which transmits programs to Asia in 17 languages. SWL convention - The largest gathering of shortwave listeners (about 200) in North America, near Philadelphia in March. 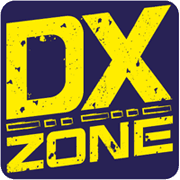 Herman's DX Homepage - Web pages on the DXing hobby and shortwave in general, utilities, pirates, FM, shortwave books. Abc's of Shortwave portable radios - An introduction to portable shortwave receivers and sw radio. What to look for in a good portable. Reviews of Sangean ATS505. Band info and frequecies. English SW Broadcasters - English language International Shortwave broadcasts listed by search time. DX ToolBox - DX Toolbox searches the web for you, gathering information on solar and geomagnetic conditions that affect radio propagation. It's ideal for the ham radio operator, shortwave listener, or other radio enthusiast. ERGO Radio Software - Creative Express Corporation software to enhance shortwave radio listening. Support for Drake R8A/B, NRD535/D, WJ HF-1000 and TEN-TEC RX-320 receivers, as well as propagation, path evaluation and database management. WD5HOH Regenerative(Regen) Receiver - This web page describes a small, single tuned circuit regenerative receiver primarily for daylight reception in the 16, 19, 22 and 25 meter international shortwave broadcast bands.